Heres a home CNC/drawing project with a twist. The drawing machine uses the time it takes for ink to bleed in to blotting paper to create a grayscale image. More information can be found here along with some other awesome projects like a street art quadracopter and gesture driven drawing machine. Being quite new to hacking components i am completely curious about how the small things work. I have been on the hunt for a servo stepper motor for a while now just to experiment with and control using the Arduino. I was told that printers quite often have stepper motors in them so i blagged a printer and started yanking it apart in a rather brutal fashion. With components and plastic discarded everywhere i recoiled in disappointment. After reducing the poor defenseless printer into smithereens all i had to show for it was dc motors 😦 How then did the printer control the movement of the laser-jet so accurately? A BIG MAGNET PICTURES FROM AN ACCUMULATOR. A big magnet has a post explaining “Using a DC motor as a servo with PID control” which is what i have encountered when hacking my printer. This technology is not just in printers its everywhere. Its in your printer, Computer mouse, scanners and so much more. 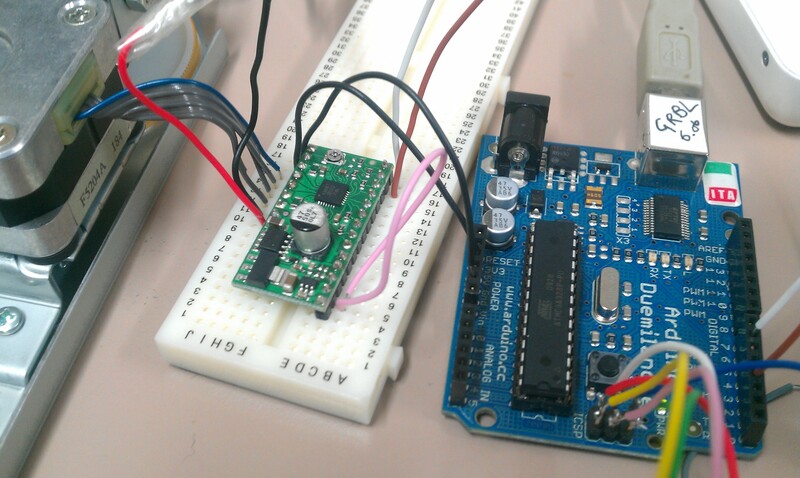 A DC motors and an optical encoder are used to replace expensive stepper motors. PID stands for proportional–integral–derivative. PID is is a generic control loop feedback mechanism (controller) widely used in industrial control systems. A PID controller attempts to correct the error between a measured process variable and a desired setpoint by calculating and then outputting a corrective action that can adjust the process accordingly. If you are wanting to control movement from a motor and don’t want to spend on expensive stepper motors you should really consider reading this blog.